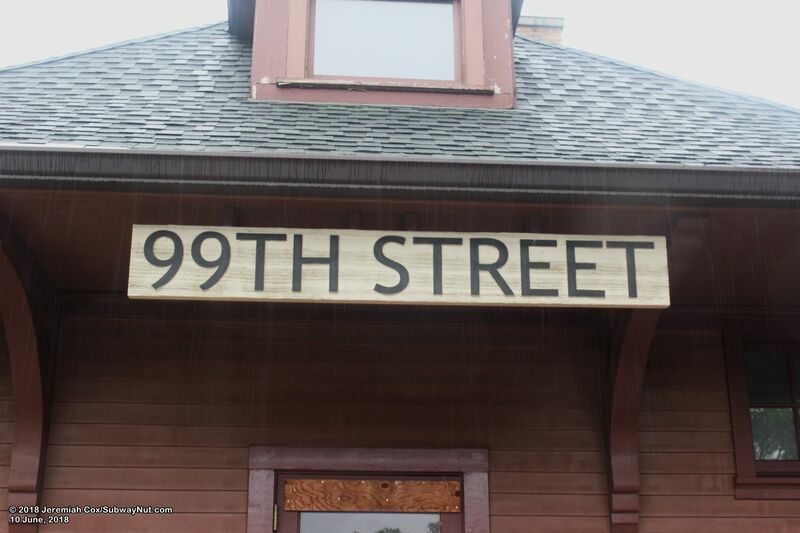 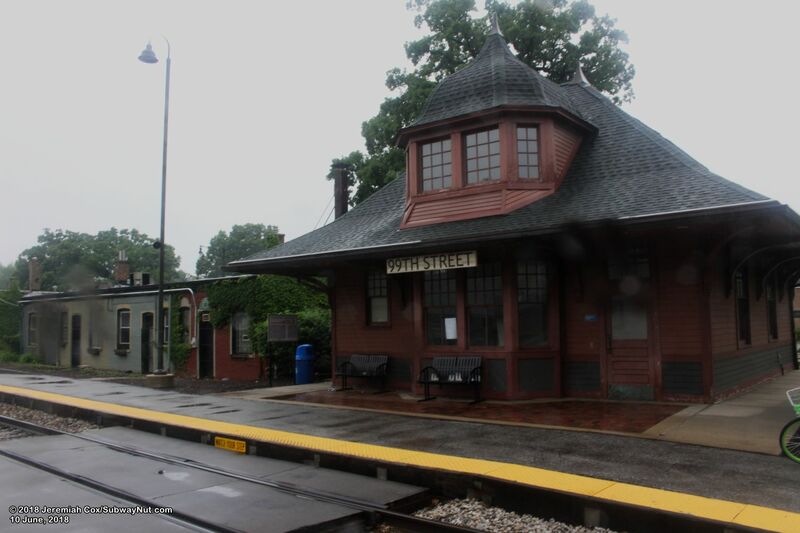 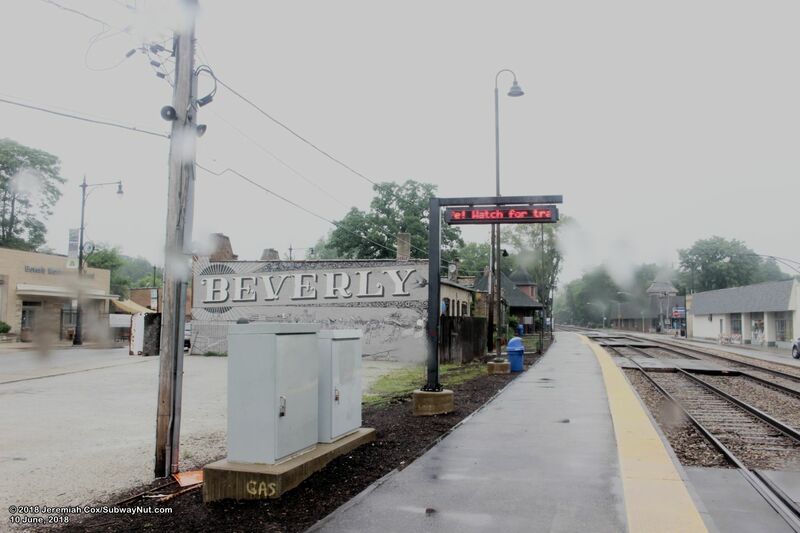 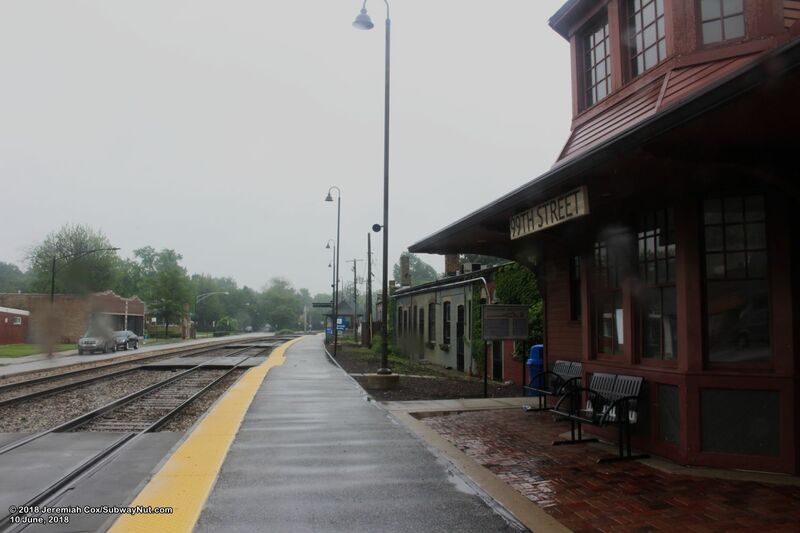 99th Street-Beverly Hills is a stop on the Rock Island Line with a historic Victorian station house, the small building (with a second story, containing a window with a highly angled, shingled roof) is painted brown with wooden signs with 99th Street painted in black on them. 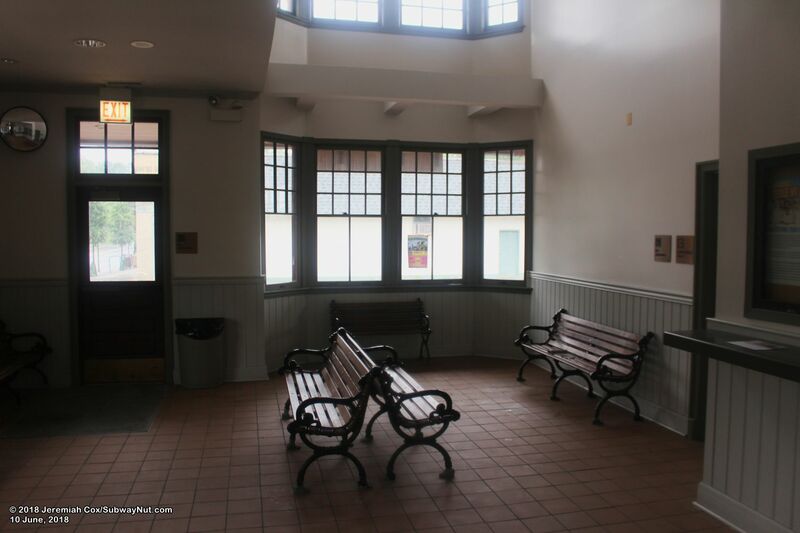 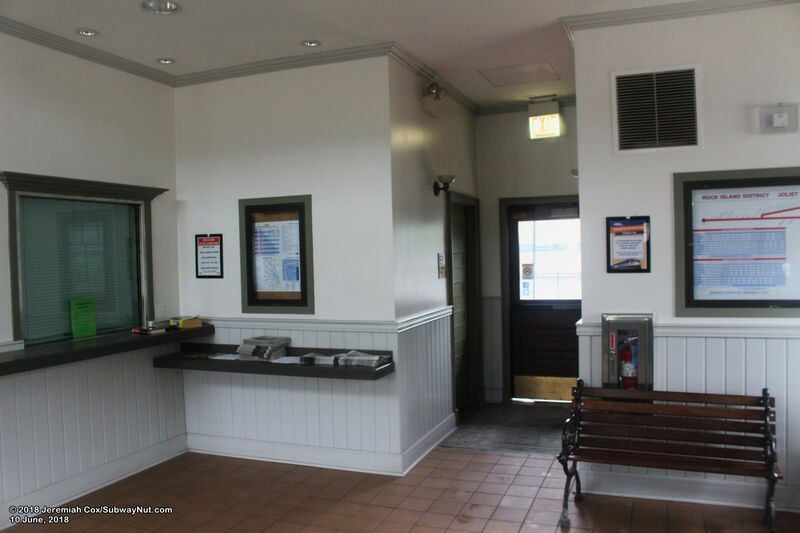 Inside is a small waiting room with a few benches and a ticket office that closed on March 14, 2016. 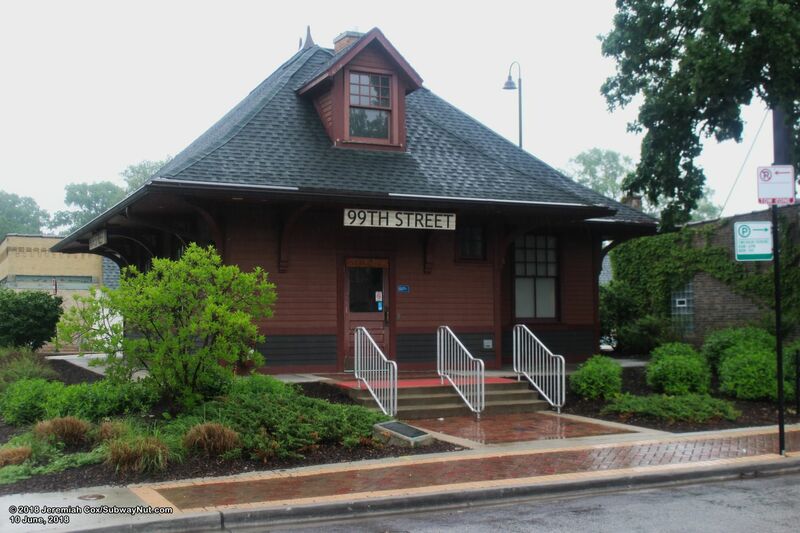 This building is at the northern end of the platform, at the corner of 99th Street and Walden Parkway. 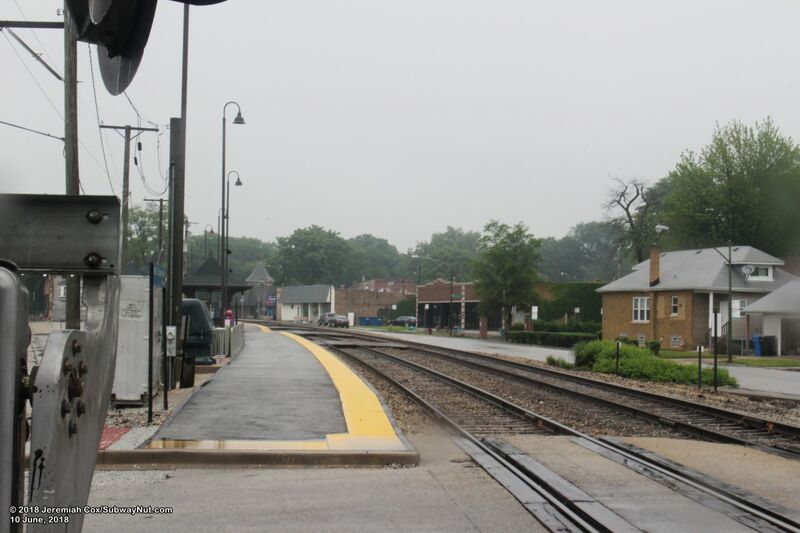 The station has two tracks but just one platform along the western outbound track, passengers board Chicago-bound trains using pedestrian crossings over the outbound track before every door. 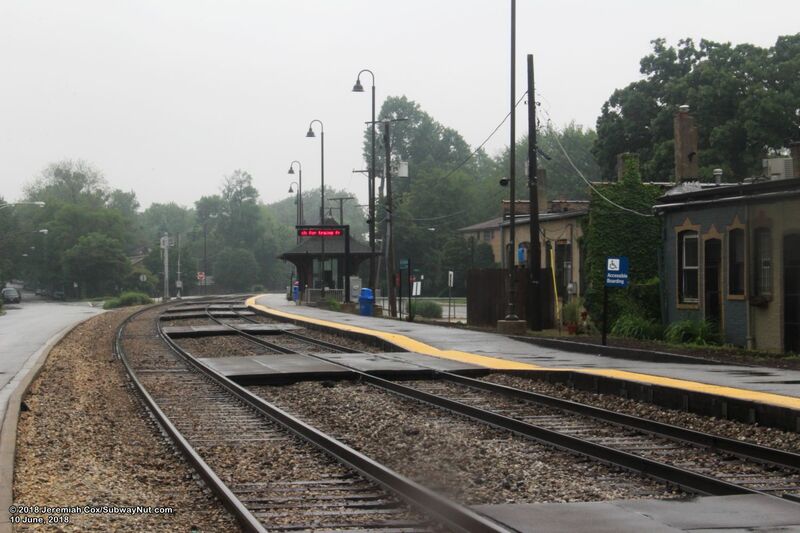 This means the station is a hold-out station since just one train in one direction can stop or pass through the station at once. 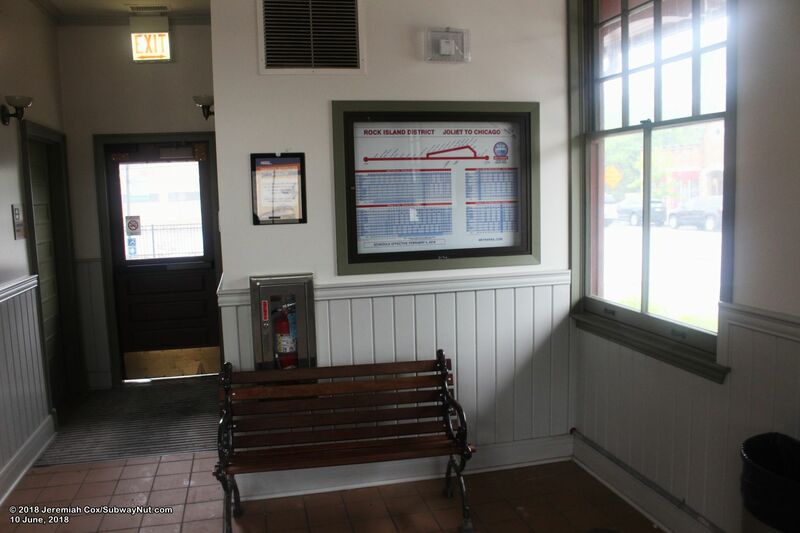 Where the Chicago-bound platform should be is Wood Street. 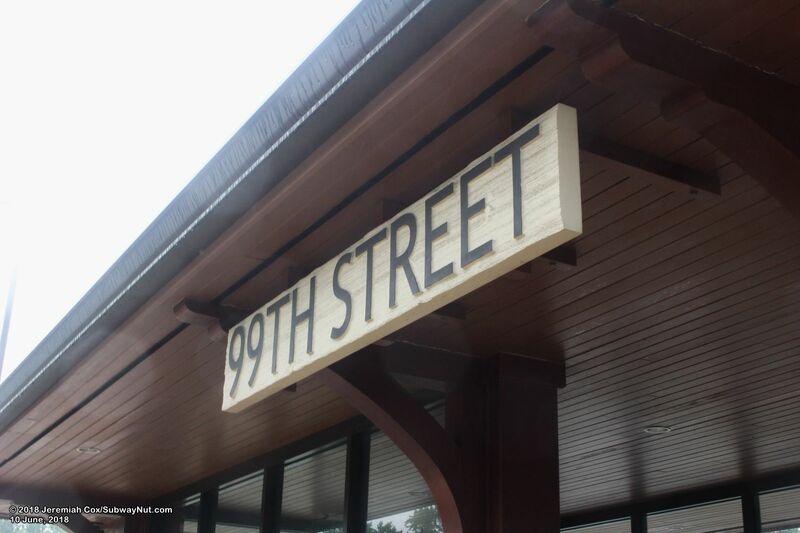 The platform runs between the grade-crossings of 99th Street and 100th Street. 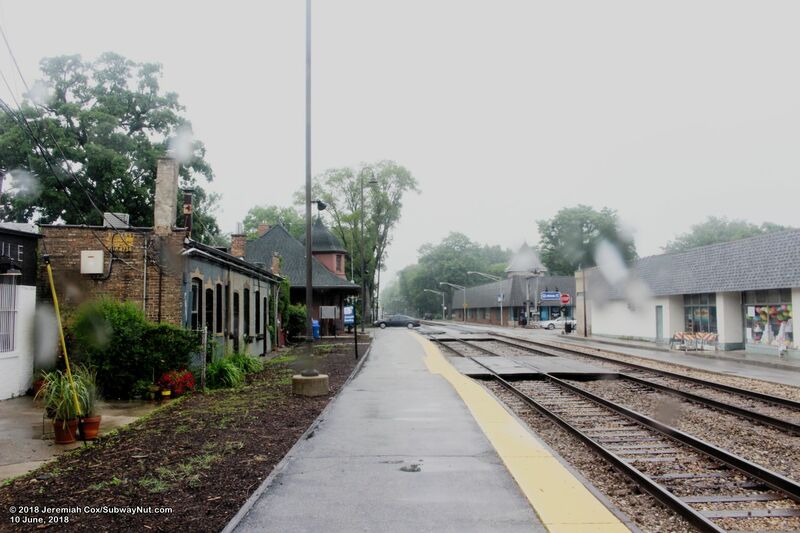 Just south of the station house along the platform are the rear doors to a series of storefronts before the platform curves to the west towards 100th Street. 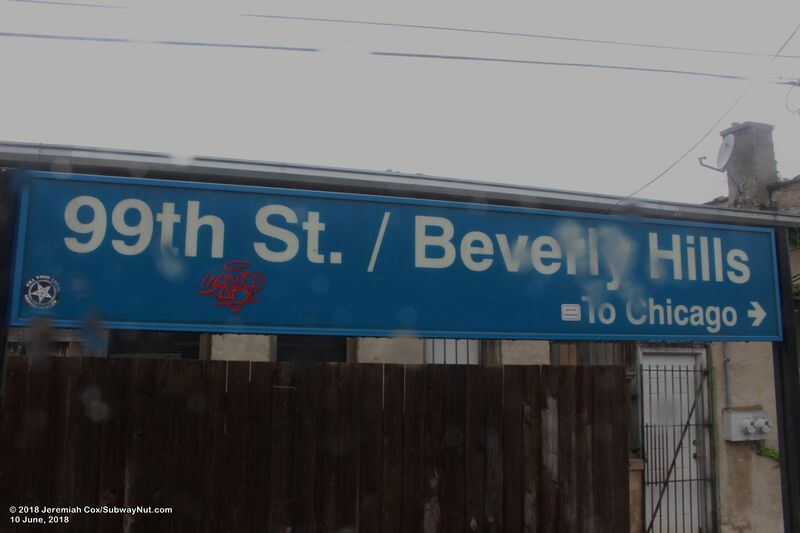 A mural that says Beverly is on the southern side of these historic storefronts. 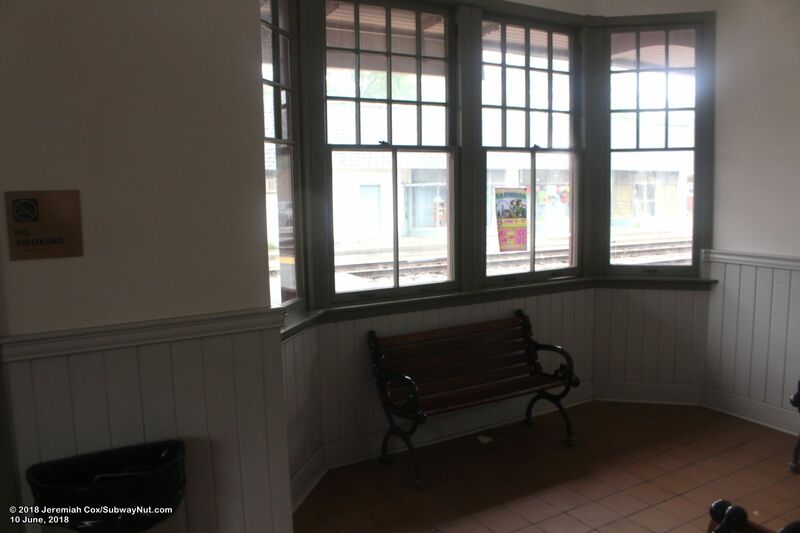 In the middle of the platform small brick shelter, covering windscreened benches in the same style as the historic station house. 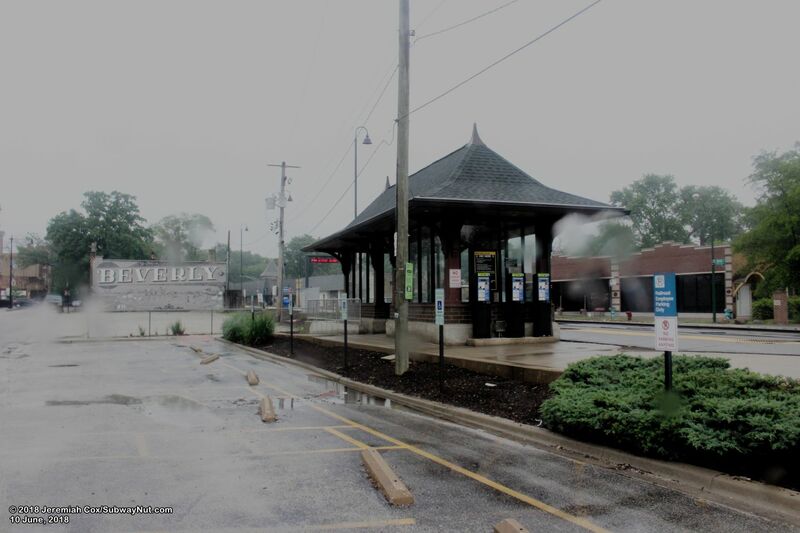 This is where the station's parking lots are and stretch with continuous spaces along alleys that run along the rail line to the next station at 103rd Street.